Input text: A [heartwall] wall. ground is silver. a yellow cartoon is in front of the wall. the yellow cartoon is 30 centimeters above the ground. 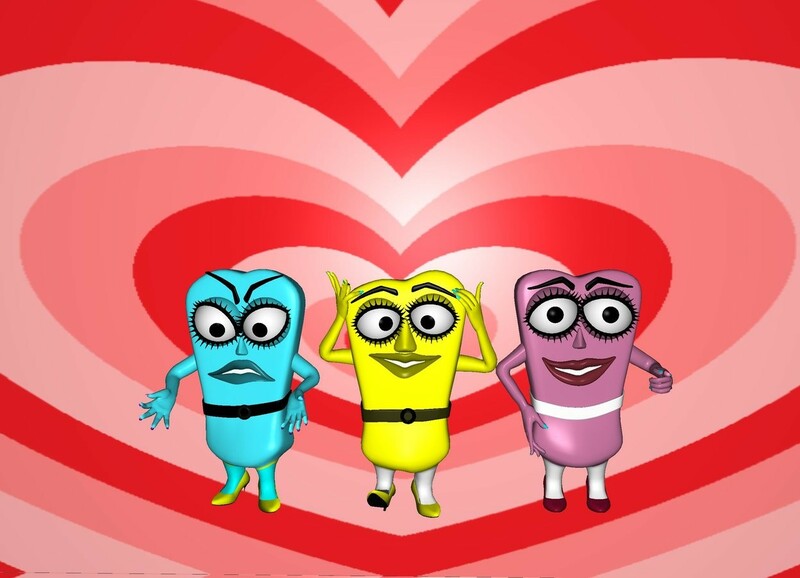 A 2nd cartoon is on the left of the yellow cartoon. a 3rd cartoon is on the right of the yellow cartoon. the cartoons are facing forward.